«من خواسته ام بخش های مهم کتاب های کمکی که تا به حال خوانده ام و تجربه هایی که در زندگی ام داشته ام را به صورت ۴۰ نکته کلیدی فشرده کنم و در اختیار دیگران بگذارم تا در هر زمان بتوانند آن را بخوانند. مطمئنا کتاب هایی که در سطح جهانی فروخته می شوند و درباره خودیاری هستند ممکن است برای بعضی ها قابل استفاده باشند ولی من مایلم چیزی بنویسم که برای همه مفید واقع شود.آ» حالا این شما و این هم ۴۰ توصیه کرایگ هایپر. بخوانید و قضاوت کنید. 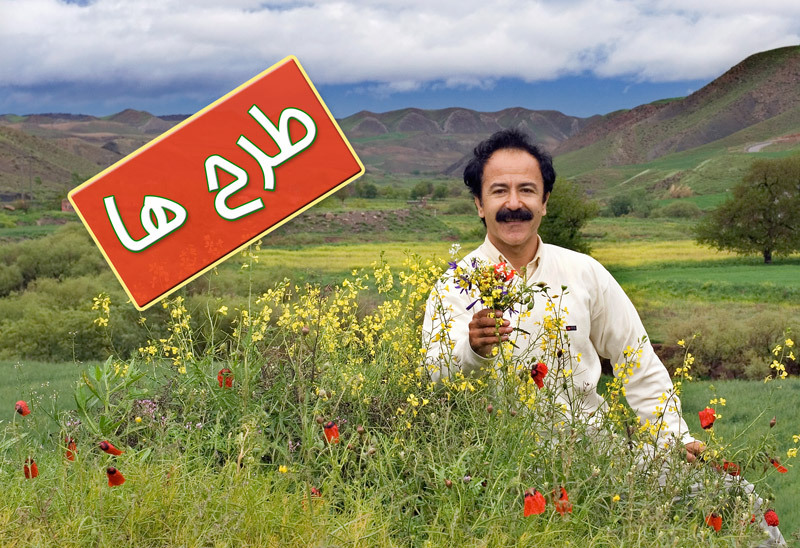 8) سرزنش نمی کنند (واقعا فایده اش چیست؟) آنها مسوولیت کارهایشان و نتایج کارهایشان را تماما به عهده می گیرند. ۳۲) متواضع هستند و اشتباهات شان را با خوشحالی می پذیرند و به راحتی عذرخواهی می کنند. آنها از توانایی هایشان خاطر جمع هستند ولی به آن مغرور نمی شوند. آنها خوشحال می شوند که از دیگران بیاموزند و از اینکه به دیگران کمک می کنند تا خوب به نظر برسند بیشتر از کسب افتخارات شخصی شان لذت می برند. ۳۳) انعطاف پذیر هستند و تغییر را غنیمت می شمارند. وقتی وضعیتی پیش می آید که عادت ها و آسایش روزمره شان را بر هم می زند از آن استقبال می کنند و با آغوش باز وضعیت جدید و ناشناس را می پذیرند. ۳۴) همیشه سلامت جسمانی خود شان را در وضعیت مطلوبی نگه می دارند و می دانند که بدنشان خانه ای است که در آن زندگی می کنند و به همین خاطر، سلامت جسمانی برای آنها خیلی مهم است. ۳۵) موتور بزرگ و پرقدرتی دارند. سخت کار می کنند و تنبلی نمی کنند. ۳۷) با افراد بدذات و غیرموجه نشست و برخاست نمی کنند. ۳۸) وقت شان و انرژی شان را روی وضعیت هایی که از کنترل شان خارج است صرف نمی کنند. ۳۹) کلید خاموش روشن دارند. می دانند چگونه استراحت کنند و ریلکس شوند. از زندگی شان لذت می برند و سرگرم می شوند. ۴۰) آموخته هایشان را تمرین می کنند. درباره تئوری های عجیب و غریب خیالبافی نمی کنند بلکه واقع بینانه زندگی می کنند. "I have asked the important parts of help book I ever read and experienced that in my life I have had to face 40 key pressed, and I share at any time can put up to read it. Certainly books that are sold worldwide and are about self-help may be available for some but I would like to write something that is useful for everyone. A. "Now, you and even recommend Craig hyper 40. Read and judge. 1) opportunities to see and find that others do not see them. 2) are of course problems, while others see only problems. 3) focus on the solutions are. 4) Rvshmndanh conscious and make their success, when others wish to know their success to come. 5) Like the rest, but fear that they will not allow fear to limit and control them. 6) ask themselves questions correctly. Question that their positive mental and spiritual path offers. 7) rarely anything to complain about their energy because they do not lose it. What caused all the complaining is just putting a person on track and negativism has to be fruitless. 8) do not blame (what he really benefit?) Their responsibility for their actions and work results are entirely responsible. 9) When the capacity to loan their excess capacity to use always a way to enhance their capacity to find more than their capacity to expect. What they have to use more efficient way. 10) Always busy, are active and constructive. When most people are at rest they are planned and think until they do their jobs have less stress. 11) themselves with people that think they are united. Their importance and value of being part of a group know. 12) are ambitious and like to be amazing. They are conscious choice to have the best live their lives and can not do it automatically pass. 13) clearly and know exactly what you want in life and what will not. The best reality they depict and for themselves exactly to draw the audience rather than simply be living. 14) greater than the imitation to innovation are. 15) do not work today and tomorrow and expect their lives to achieve the best time to do something they do not lose. 16) of their school life and always learn on their own work. Their ways like education institution, see and hear, ask, read and learn experience. 17) always see the glass half full and the ability to find the right way are. 18) know exactly what to do with their lives and from branch to branch from the other hand do not jump. 19) a calculated risk do; risk of financial, emotional and occupational. 20) with problems and challenges that arise for them to fast and effective face difficulties and never on their heads are not under the snow. Challenges and face them to improve their own benefit. 21) waiting area and not as fate and luck to figure their future calls. They believe that with commitment and effort and activity, the best life for themselves make. 22) When most people are not working and they are doing. Before they become forced to work, work. 23) Most ordinary people have control over their feelings. They have the same feelings but we have never taken their feelings are not. 24) associated transmitters are good and work on relationships. 25) have a plan for their lives and try to plan their action. Their lives, work planning and the results are not accidental is free. 26) At a time when most people want at any cost of suffering and being difficult to avoid people so successful and valuable work, and being difficult to understand. 27) the values of their lives is unknown and their lives on the same values to. 28) are balanced. When you are financially successful, they know that money and success are not synonymous. They know people who only financially desirable, have not succeeded. However, many of which are money imagination has the same success. But they have found that, like the rest of money is a means to achieve success. 29) the importance of having control over your were conceived. They are strong and that the way to go than someone who can go, be happy. 30) are sure of themselves and the feelings of where you live and what and how they seem, are not significant. 31) and kind-hearted and that will help others to achieve their demands are happy. 32) are modest and are happy with their mistakes and simply accept their apology. They are assured of their ability, but it can not be proud. They are happy to learn from others and help others that are good seem to get more from their personal honor enjoy. 33) are flexible and change to count the booty. When a situation happens that their daily habits and comfort on the beats they welcome it with open arms new situation and accept anonymous. 34) always their own physical health in good condition keep their bodies and know that the house in which to live and why, for their physical health is very important. 35) engines are big and powerful. Hard work and not inaction. 36) reflects the work are always waiting. 37) with naughty people sat up and do not unjustified. 38) of their time and their energy on the condition that is beyond their control do not matter. 39) are key to clear off. Know how to relax and be Rylks. Enjoy their life and be entertained. 40) learned to their practice. About the theory of exotic fantasize do not live but realistic.